Jordi Bertran ’19 has a burning question, “Is biochar an effective soil amendment in drought regions?”. That was the title of his submission at the Greater San Diego Science and Engineering Fair on March 14 which secured him second place in the plant science category and four professional awards! 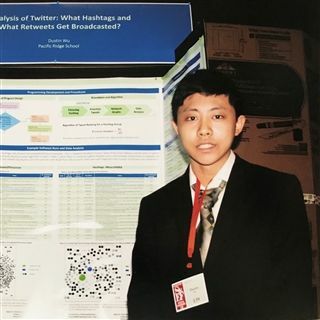 Dustin Wu '20 placed second in the Computer Science Category and received one professional award for his project, “Analysis of Twitter: What Hashtags and What Retweets Get Broadcasted?”.